Another factor I feel worth mentioning. is that I raised six children and was responsible for meals every day 7 days a week. And to move here and walk in a line and pick what I want to eat seems like I’m in heaven. Also I never ever felt any kind of connection to housekeeping…dusting and mopping. And every now and then, I remember someone comes once a week. What a glorious way to live the second half of my life!" Treemont is fortunate to have Maggie as a resident. She works at the Front Desk to support the Front Office and Marketing Team. As a counselor previously, Maggie brings this supportive perspective to new senior living residents and has generously offered to lend her insights to new residents who are transitioning to retirement living. Many residents find fulfillment in being a support network to fellow senior residents. Thank you Maggie for all you do for Treemont residents! Learn the steps in the process Treemont Resident Maggie Burch went through to make her decision to move to a retirement community. We understand the challenge of down-sizing and moving to a retirement community. Let us help you or your loved one make the best choice. Contact Lupe or Linda at 713-783-6820 or via www.Treemont.com to ask a question or schedule lunch and a tour. 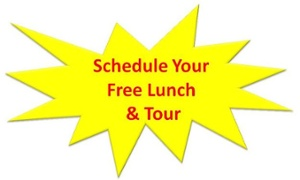 Schedule your FREE Lunch & Tour today!